Our Seasons Of Grace: Taste and See the Lord is good... for the single woman? 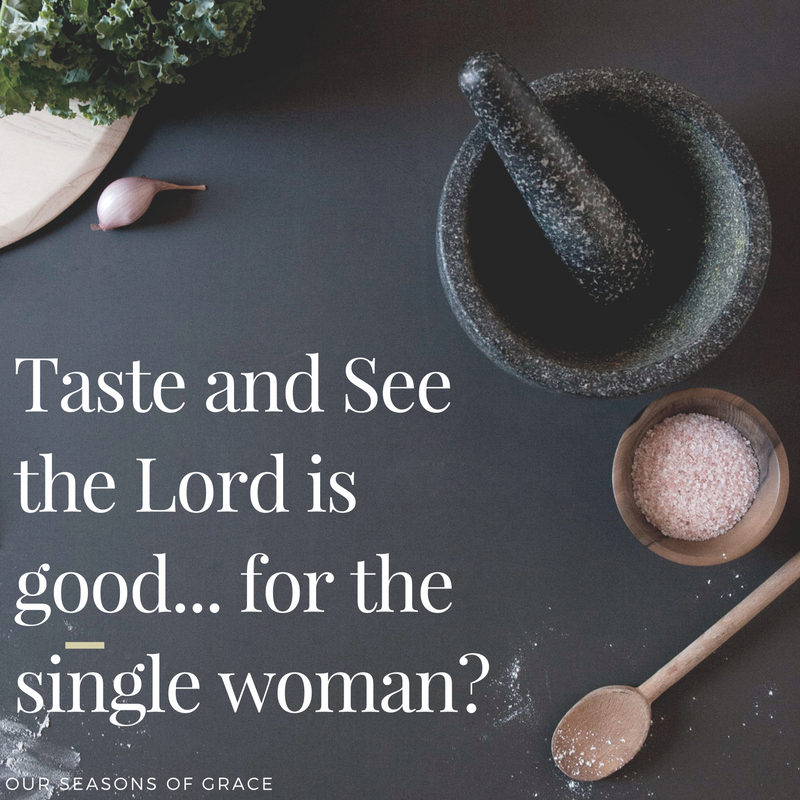 Taste and See the Lord is good... for the single woman? Do you think God is good in your singleness? Do you believe in God’s Sovereignty in your singleness? God is good. All the time. This was a saying at my hometown church. The pastor would begin by saying, ‘God is good.’ And the congregation would respond with, ‘All the time, God is good.’ For me, this was a helpful reminder on an important Biblical truth: God is good. Do I always believe those words? As I navigate life as a young single woman who desires marriage but feels it’s so far from reach, do I always believe God is good? I don’t. And I can only guess I am not alone. One of my favourite people in the Bible is King David. David consistently draws me into his words with his raw honesty in the Psalms, his journey to genuine repentance, and his humble praises of God the midst of constant suffering. 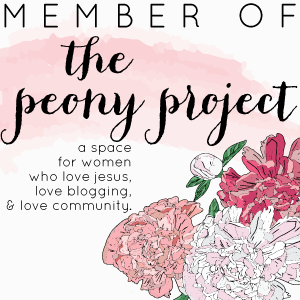 Recently I have been reading Psalm 34 and it has challenged me to question, ‘do I really think God is good in my singleness?’ I have watched friends get married and it is a joyous occasion. I have watched friends glow with pregnancy and it is a very exciting time. But both of these things have been deep desires of mine since I was much younger, so sometimes I walk away feeling the sting of hurt and I want to question God: where is Your goodness? This is an interesting yet seemingly mismatched combination of senses but there is a method to his writing. David urges his readers to experience with their senses the goodness of God. David is giving an example that we, as children of God, have the ability to experience a more personal and intimate way of knowing God’s goodness. God is good, and He is good in singleness. Singleness does not define me. Singleness may be temporary or may be for the rest of my life. Ultimately my identity comes from God. I may be single now, but there is more to me than whether I am married or not. I am a daughter, a friend, and I have many interests, dreams and goals. I am also a child of God and even in my singleness, am being used for God’s glory. This goes for you too. Every day there are blessings that come from God. When there is an aspect of my life that I struggle to see the good in (e.g. 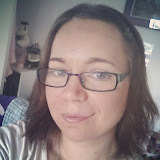 my singleness) I can look in other areas and find the goodness of God. Sometimes it is as simple as seeing the sun rise. When I am having a bad day or I am struggling to see God’s goodness in my circumstances I often cling to a passage in Lamentations 3 that talks about God’s mercies being new everyday (verses 22 and 23). David is one example of struggling with circumstances but he chooses to believe in God’s goodness. This is where I am challenged to embrace my singleness and choose to see God’s goodness in my life. The next time you hear someone say, ‘God is good’, will you be able to confidently respond with ‘all the time, God is good?’ I pray we will. Singleness isn’t easy, but God remains faithful and true and we can hold fast to the truth He is good. All the time.